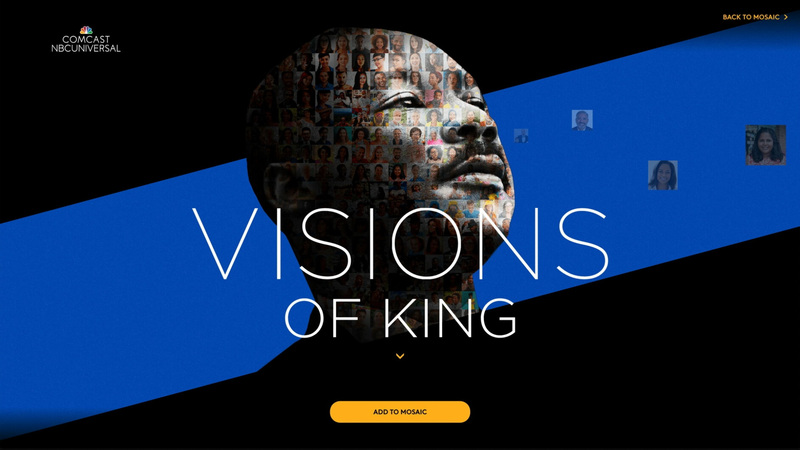 Visions of King is a celebration of the life and legacy of Dr. King, brought to life in an interactive art installation. 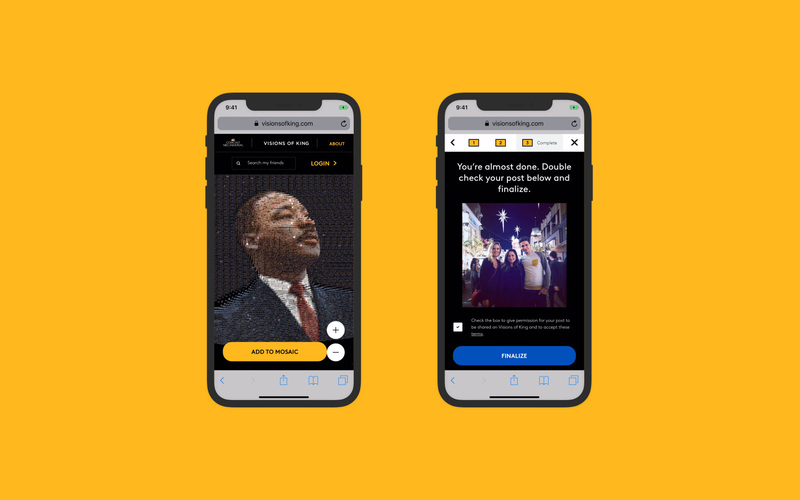 Through an initial social media campaign push, users were directed to the Visions of King website where they were asked to submit their stories, videos and artwork via Instagram explaining why they are #stillmarching. 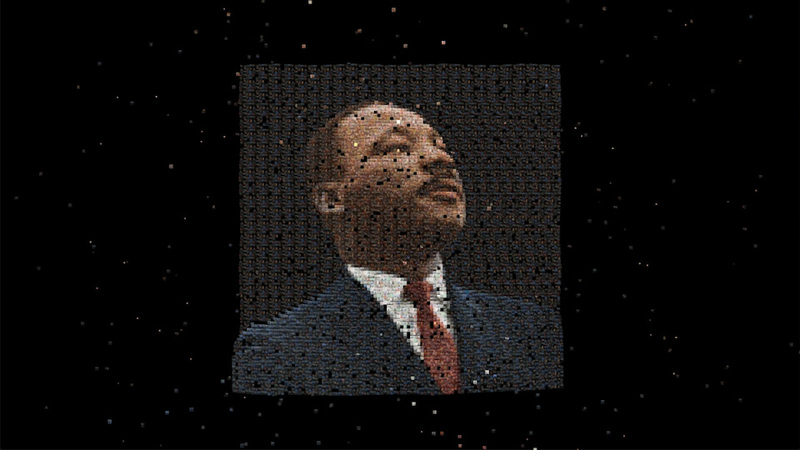 Posts from users were collected and displayed in a beautiful, interactive photomosaic where they combined to display a portrait of Dr. King. Visitors to the site can explore the mosaic and click to view the individual posts and submit their own. The site prompted users to answer the question 'Why are you #stillmarching?' with stories, videos or images from their Instagram feed. A simple, guided flow walked the user through the submission process and even gave ideas on how to start a post. 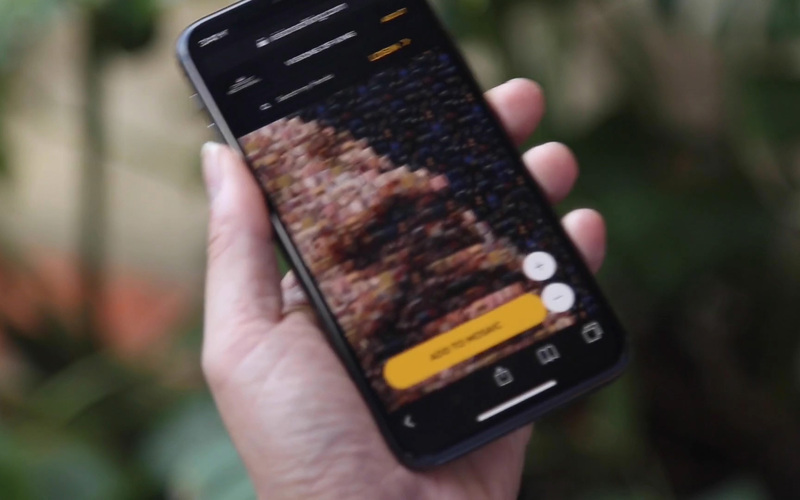 Once the user made a submission, they were collected in a queue where they could be curated and screened by an admin before being added to the digital mosaic, which automatically regenerated based on the latest submissions. The mosaic itself was developed in WebGL, using a technique called raycasting to intelligently apply hundreds of optimized pieces of media to a grid. An algorithm was used to determine which images or videos would fit where in order to create the likeness of Dr. King. From there we applied a depth map to the grid to bring parts of the mosaic into the foreground, allowing us to create the illusion of a 3D bust emerging from a flat plane. Particle effects and subtle undulations added life to visualization. We're proud to have had the opportunity alongside Burrell and NBC Comcast Universal to celebrate the life and legacy of Dr. King. The visualization garnered tens of thousands of impressions and was also recognized by the FWA as Site of the Day.